Today I’m chatting to Emma Finlayson-Palmer, MG and YA author, and one half of Wonder Writers, providing mentoring and editorial services. 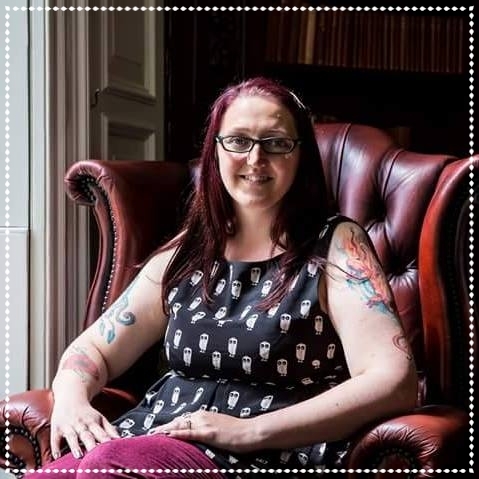 As well as recently creating a successful editorial business, Emma has signed with a fabulous literary agent–Laura West of David Higham Literary Agency. L.M: Thank-you very much for your time on today’s blog, Emma, and congratulations on signing with DH Literary AND opening the doors at Wonders Writers! Tell us, what’s going on in that marvellous life of yours right now? Emma: Right now I’ve recently finished the first draft of two YA novels — a thriller inspired by The Birds, and the other is a contemporary and (hopefully!) humorous story. I’m currently working on a Lower MG book involving Cheerleading and witches. Emma: The book that landed me my lovely, lovely agent, Laura, is called A Witch in Time. It is a MG Fantasy where the protagonist a Time Witch in training, Feather Horologium is racing against the clock to save the world before a time rip destroys the world as she knows it. I decided to write this as I’ve always loved stories about witches, and fascinated by time, so to put the two together seemed a logical step whilst trying to write a story that I’d have loved as a child (and adult!). L.M: What are you writing now? Are we talking sequels? Something completely new? Both? Emma: Something completely new at the moment, though I do have ideas bubbling away for a sequel to A Witch in Time. I’ve recently written something completely different to my usual style, and have really enjoyed it. The current title for this is: Hooked: Fifty Shades of Cringe. After the main character, Buttercup “Bee” Addams is Ghosted by her boyfriend, she meets a girl, catfishes a boy and ends up falling for both. But who's catfishing her? It’s a mixture of books such as Angus, Thongs and Full Frontal Snogging, and Noah Can't Even. It’s contemporary and written in first person, two things I’d never really done before. L.M: Has your new agent asked you to do any kind of self-promotion or platform building (Facebook page, website etc.)? Emma: Not as yet, but she knows I’m very pro-active on the self-promotion and social media side of things. I have a Facebook page already, Twitter, Instagram, LinkedIn, Pinterest, already, which can be fantastic, but do eat into writing time. I also run a regular writing chat called #ukteenchat on Twitter, which has given me the opportunity to chat to writers, agents, fiction editors and recently, organiser of the Bath Novel Award. L.M: Tell us how you came about setting up Wonder Writers, and has your experience as a writer influenced the services you offer? Emma: I set up Wonder Writers as I have gained a lot of experience in recent years via SCBWI critique groups, the Book Bound children’s writers retreat, NAWG festival of writing, and other writing events, and also after many months being mentored by the inspirational writer, Tamsyn Murray, who I learnt a huge amount from. I wanted to share this with other writers. So, along with fellow writer, Jeanna Skinner, we decided this summer was the right stage in both of our lives to actually make this happen. Being a writer myself, has definitely influenced the services we offer. In particular for me, I am very keen on being able to offer mentoring and motivation for writers to keep them going and get that book or books finished. L.M: Is there a particular stage that a writer needs to be at to request feedback through Wonder Writers? Emma: We look at writing from all different stages, right up from notes and ideas, to complete and already edited manuscripts. It really does depend on what each writer is looking to gain from working with us at Wonder Writers. They may be interested in mentoring where we can work together on ideas and we could help a writer to plot this out, and then work on it, giving lots of useful feedback and encouragement along the way. Some writers may be in need of fresh eyes to go over their work, and spot continuity errors or typos that may have been missed. We tailor every package to meet the needs of each individual writer, and have fees in place that budget to meet these needs. L.M: What is your favourite story ever told, book or script is, and why? Emma: So many that I love, what a tough decision. Neil Gaiman is always top! Anything at all by Gaiman, and Neverwhere in particular and The Graveyard Book are two of the best. Matt Haig too, anything by Matt is brilliant. I love authors who can cross genres and age groups within their writing, and do it well, both Gaiman and Haig are masters of their craft. There’s probably about fifty million others that I love, so I’ll stop there! L.M: And finally, is there anything that you would like to say to your readers and followers? Emma: Thank you to the fantastic writing community and friends through SCBWI, writing groups both online and in real life, especially TWP writers who have given me fantastic support and encouragement. I can’t stress enough how much Twitter has enabled me to reach out to other writers and find out about events I wouldn’t have known about otherwise. For a quite solitary profession, this is vital to keep a connection to others who understand the struggle. L.M: Many thanks, Emma! We’re looking forward to all your future publications, and good luck with Wonder Writers! Emma: Thank you for having me! If you would like learn more about Emma’s work as an author, or about the services that Wonder Writers offer, please visit her blog or connect with her on Twitter.